There’s no denying the power of mothers. They are incredibly strong, fiercely devoted, and will sacrifice everything they have for their children. We love mothers and we think that they don’t get nearly enough credit that they deserve. Moms are champions of finding that perfect work/life balance. For starters, 71% of all moms in the United States work full time jobs while still finding time to raise their children. That means over 30 million moms are pulling double duty as both income earners and homemakers. That’s not to say that stay at home moms aren’t working just as hard for their families too. In fact the market value of all the unpaid work that stay at home moms do is $113,568 annually. There’s a lot of hard work that goes into making that kind of money. Sothere’s no doubt, moms are working hard than anybody else. Moms know that for their children to succeed they also have to succeed. So moms are always taking on the seemingly impossible task of improving themselves. That is why there are currently 4.8 million mothers earning their college degrees while raising their children. Of those, 3.4 million moms are working toward their post-secondary degree. Furthermore, moms aren’t only focused on improving their education; they are also working hard to improve their careers. 20% of moms currently work in management and 47% of all workers entering professional fields are mothers. Also, moms currently make up the highest percentage of new entrepreneurs in the country and this rate is continuing to grow. So moms are constantly working to improve themselves. There are currently 9.9 million single mothers in the United States and 83% of all single parent households are headed by mothers. Whatever the circumstances that lead them to make this choice, these daring Moms weren’t afraid to take on the responsibility of raising their kids by themselves. Single mothers take on the multiple roles of being the mother, the father, the sole income provider, and the homemaker, all while 77% of them work at least 40 hours a week. These brave moms stepped up to the challenge and do it all by themselves. Moms also face some pretty tough challenges from the start. Many moms experience serious health issues and stress during the course of their lifetimes. From the 20% of pregnant women who experience severe complications to the 600,000 moms who battle against postpartum every year, most moms start out as fighters. Then after pregnancy, 88% of all mothers develop serious health problems related to stress like anxiety, migraines, and even heart problems. However, moms power through this pain and stay strong for their families. So there’s no doubt that moms can overcome any difficult obstacle. Moms make sacrifices everyday to make sure their children do better than themselves. Moms work longer hours and have way more responsibilities than fathers, yet only make 56-78 cents for every dollar men make. That doesn’t include the economic impact of the 52% of moms take a career break to care for their families. Moms are constantly putting their career goals aside for the well being of their children. Yet even in the face of these personal sacrifices, moms are more likely to continue to give up their resources to their children. Mothers funnel more resources into children’s health and education than their fathers. They are also more likely to work to ensure their children get the best education possible. All of these things point to the fact that moms give endlessly without ever asking for anything in return. There is no mistaking the strong, loving bond between a mother and her children. 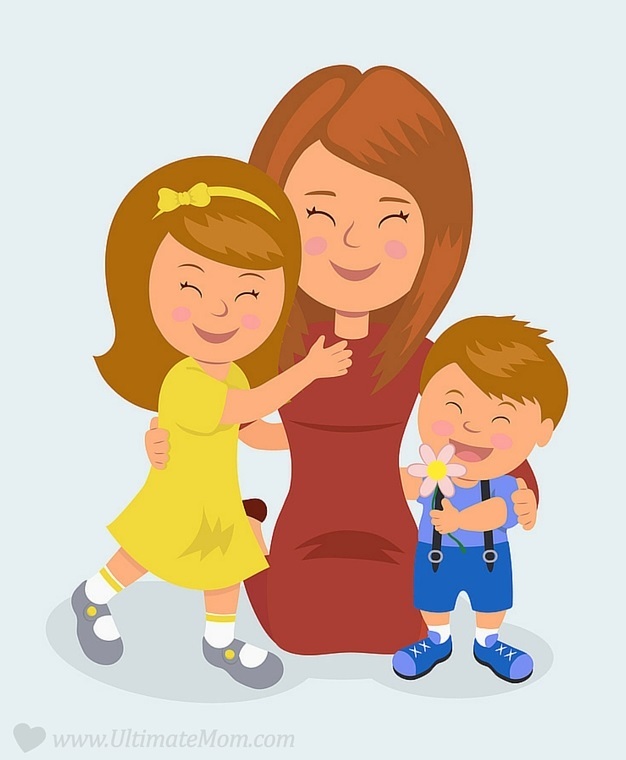 Studies have even shown that a mother’s love can literally improve her child’s brain. In fact, children who have been nurtured by their mothers are 95% less likely to experience early onset depression. Also there’s evidence that points to children becoming smarter form their mother’s affection. Yet mothers don’t need scientific evidence to love their children unconditionally. A mother’s love comes so natural and easily that there are very few things that even compare. Finally, it’s a simple sentiment, but is easily the number one reason why moms rule the world: Mothers made all of us. Without the support, love, and sacrifices of our mothers, we would literally be nowhere. Think of all the amazing lessons you learned from your mom and the kindness and affection she gave unconditionally, and take a minute to thank her. Next think about all the amazing things you’ve done for your children and take a minute to also show yourself some appreciation. You deserve it because the fact of the matter is moms are amazing and they definitely rule the world.